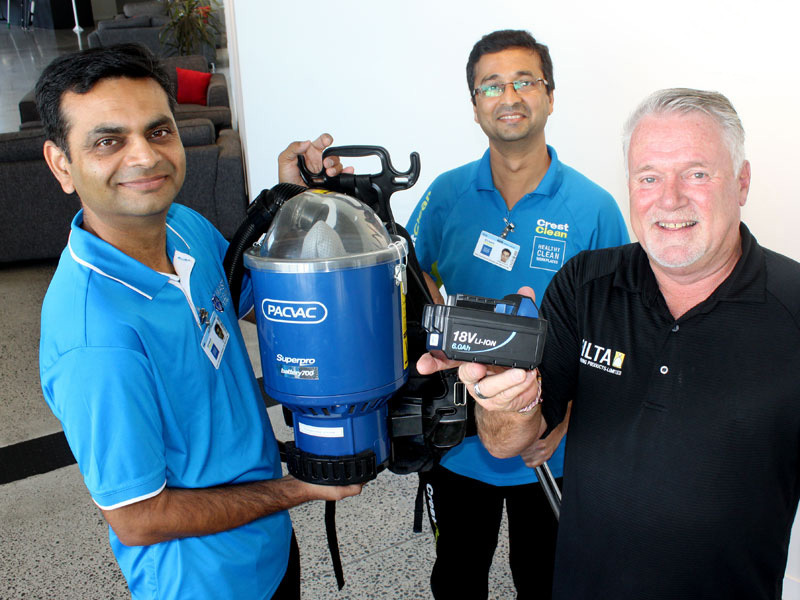 Gavin Smith shows Pinakin Patel and Chirag Kansura the battery unit from a cordless PacVac cleaner. 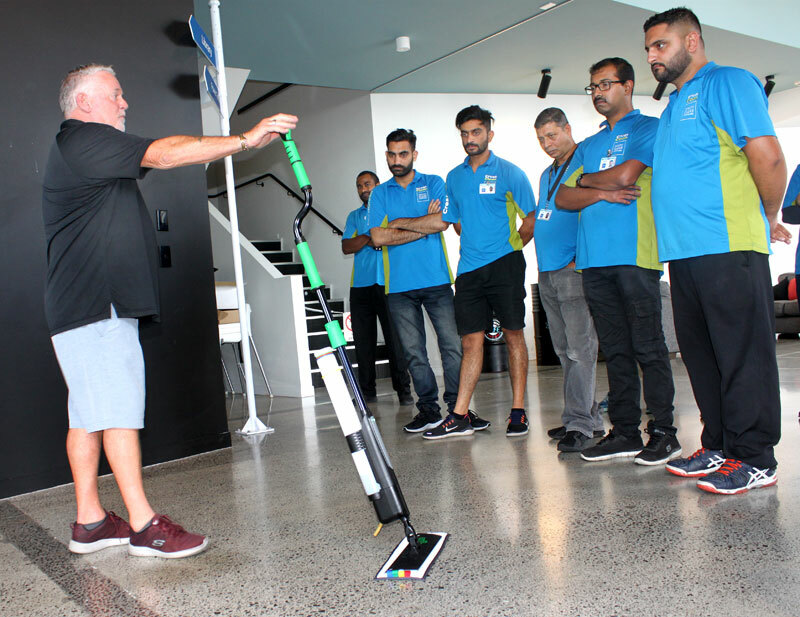 Tauranga franchisees were swept up by innovation when they got a chance to try the latest products designed to make their work a whole lot easier. Among the new gear being demonstrated at a skills workshop was the upgraded battery-powered PacVac unit, which brings the freedom of vacuuming without the restrictions of a plugged-in power cord. Gavin Smith, from Filta Products, says the units have proved popular and they’ve seen a big demand for them. “In our first three shipments we completely sold out. “Cleaners love them, it’s just the cordless convenience of getting around without being hampered by a mains cord. “You can walk into a room and you can immediately begin the cleaning, so there’s an immediate time saving,” says Gavin. The unit is powered by rechargeable lithium-ion batteries. Two sets of batteries will give about 90 minutes of running time. When out of juice, the batteries take two hours to fully recharge. They are designed for 500 charge/discharge cycles. The vacuums are particularly useful when working in confined spaces, he added. Independent studies have found using a cordless vacuum can bring a time-saving benefit of about 30 per cent. Tauranga business owner Pinakin Patel didn’t need convincing of the advantages of battery power. He’s already purchased a cordless PacVac and has plans to buy another unit. Adam Hodge, CEO of Master Cleaners Training Institute, is a big fan of the cordless vacuum cleaner. “It’s the way to go, it’s definitely the future for the cleaning industry. “I can see the day when all of our machines will eventually be battery operated,” he says. Gavin Smith demonstrates a new ergonomically designed mop aimed to make floor cleaning kinder on the body.